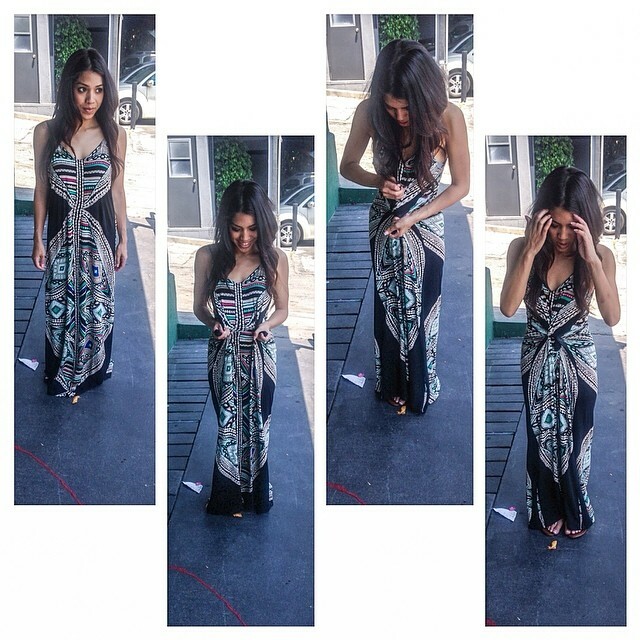 It’s summer time, which means it’s time to whip out the maxi dresses! Well, me being under 5 feet tall, unfortunately struggle with making them fit me (one size does not fit all) – so, I got creative with it. Pull on the sides and tie a knot!